P.S: The best thing after Thanksgiving. These are so cool - you can really identify the period from the snoopy and superman floats! This is beyond cool! Love the Popeye and Olive Oyl balloons! I am ready for the holidays in the sense of wanting the time off, but not ready in the sense of wanting more time to savor the season and to prepare for them! 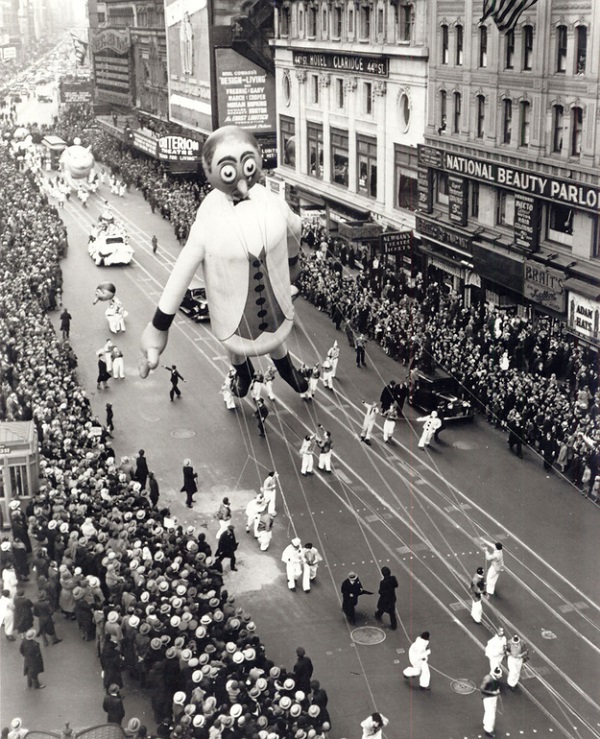 I love these vintage photos, and the old balloons just seem so much more fun than today's fare. Camila, so happy you like it! I feel the same way, Lyddie!